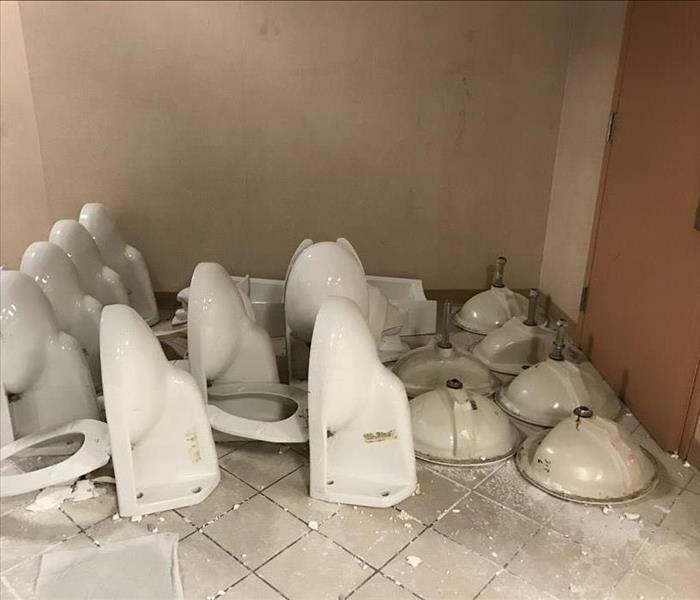 If your Yucaipa,CA, office has never dealt with overflowing toilets causing problems, you’re lucky, and you may be in the minority. Eventually, this is likely to occur at some point. Sometimes, this is a minor issue you can handle in a matter of minutes, but if a toilet overflow damages two floors at work, you’ve got a serious problem of sewer damage and other concerns on your hands. How Does a Toilet Back up or Overflow? You don’t need anyone to remind you what goes into the toilets at work. A flooded toilet, therefore, will spill out some undesirable materials you certainly don’t want on the floor or leaking into the ceiling of the level below. It’s important to identify the causes of this issue. Toilet paper, hair and soap scum clogging the pipe. Tree branches clogging the lines outside. Sewer lines collapsing outside under the ground. You don’t want to delay if sewer damage has occurred in your building. You should first act quickly and remove the flooring, ceiling and other wet materials in the affected rooms and areas. Make sure you wear gloves and other protective equipment when you do this. Next, contact a professional sewer cleanup company. Once the sewage company arrives onsite, get out of the way and let the technicians do what they do best. The team will make shut off the water and make sure the overflowing has stopped. Next, the crew will remove all water from the floor, ceiling and walls. The techs will thoroughly dry both floors and will then sanitize and disinfect all areas where there may have been sewer water or water from the toilet. Multi-floor sewer damage requires your prompt attention and the expertise of a professional company to fix. You don’t want to take this incident lightly, but the pros have it under control. When Storms or Floods hit Redlands/ Yucaipa, SERVPRO is ready! 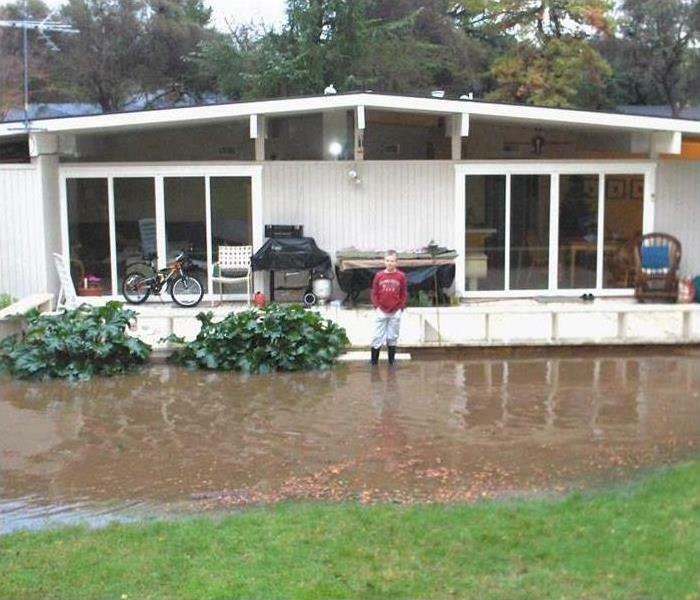 Our highly trained crews are ready to respond 24/7 to storm or flood damage in Redlands/Yucaipa. 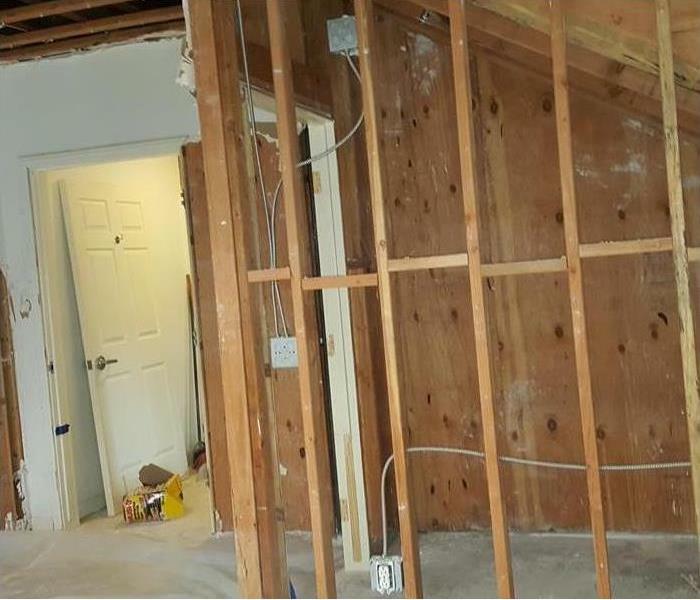 SERVPRO of South Redlands/ Yucaipa specializes in storm and flood damage restoration. Our crews are highly trained and we use specialized equipment to restore your property to its pre-storm condition. When storms hit Redlands/ Yucaipa, we can scale our resources to handle a large storm or flooding disaster. We can access equipment and personnel from a network of 1,650 Franchises across the country and elite Disaster Recovery Teams that are strategically located throughout the United States. Can Tenants Sue Property Managers Over Mold? Property owners and managers have a responsibility to maintain rental properties. The owner or manager of a residential building may be liable for tenant damages and injuries and commercial properties must be fit for use. An owner or manager can take several measures to limit his or her liability and prepare for making mold insurance claims. Owners and managers should maintain written records of communication with tenants. This can help to prove that they have done everything in their power to limit damage. Endorsements enable policyholders to buy back coverage that is otherwise excluded from a policy. Some insurers offer endorsements with limited coverage for mold insurance claims. Any amount of coverage can offset cleanup costs or protect the named insured from liability. Owners and managers need to take proactive measures to determine what type of mold is growing at a property in Redlands, CA. An indoor environmental professional can perform a mold test and make recommendations for a service that specializes in mold remediation. 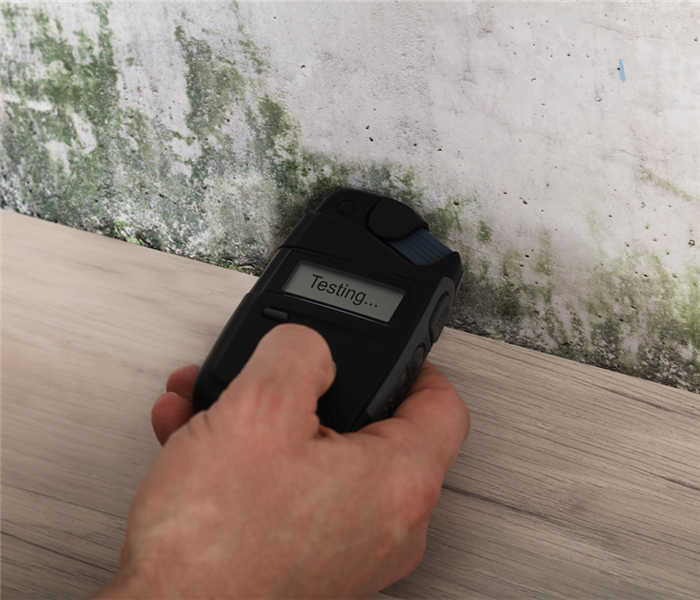 Property owners and managers should maintain open lines of communication with tenants whenever mold is suspected or detected at a property. This can reduce the likelihood that a tenant will file a lawsuit claiming negligence. Property insurance policies may cover mold insurance claims, and renters or business policies may cover a mold claim for contents or liability. Over time, a leaking toilet can cause problems and require help from a water damage specialist. Sometimes you can remedy the situation by replacing a faulty component. However, if your toilet repair is unsuccessful, replacing the entire unit may be your only option. Although the task may seem intimidating, the process is typically straightforward. Following a few essential guidelines can help you successfully accomplish this home improvement project. To disassemble your old toilet, unscrew the tank from the bowl. Then, loosen and remove the nuts holding the unit to the floor and place the detached commode on a garbage bag. You should also remove the old wax ring and any excess wax remaining along the top of the drain. Before connecting your new unit, you should install new floor bolts and place a new wax ring on the base of the toilet outlet. Then, lower the bowl over the new bolts, pushing it straight down to prevent ring damage. Once the base is firmly in place, secure the nuts. To prevent cracks, avoid overtightening. After installing the base, carefully attach the tank. You should ensure the unit is level, and then reconnect the water supply. Before finalizing the project, verify the absence of leaks and adjust components as necessary. Replacing an old, leaking toilet with a new model doesn’t have to be a hassle. Measuring before commencing the project and taking steps to minimize water seepage can help every homeowner in Redlands, CA, efficiently accomplish the task. SERVPRO professionals focus on satisfying customers through top quality service and prompt results. SERVPRO professionals focus on satisfying customers through top quality service and prompt results. An insurance adjuster often has similar goals but naturally plays a different role. As cleanup and restoration technicians work to return a Yucaipa,CA, property to its pre-disaster conditions, insurance agents and adjusters handle some of the financial arrangements to get storm victims back on their feet. An atmosphere of cooperation helps each insurance adjuster reduce the amount of time it takes to complete a claim. Several advantages have been put into place to make this happen. For example, easy access to electronic files are available through an itemized loss inventory and an electronic claims center. Within these files, insurance professionals have access to quick information, including the first notice of loss, detailed estimates, photos, scanned images of paperwork, job cost data, and all files relating to new jobs, pending assignments, and completed projects. Cleanup and restoration professionals conduct pretesting to reduce the expense of each insurance claim. When possible, professionals restore property rather than replacing it because restoration tends to be less expensive than replacement. Pretesting gives the technicians that chance to create an effective plan of action that further decreases the costs of cleanup and mitigation. Finally, SERVPRO works closely with the IIRCR, an independent organization that sets the standards for cleanup and recovery professionals. The right training, ongoing education, and routine inspections improve the quality of the work offered by technicians. An insurance adjuster must work to keep the cost of claims down for Yucaipa,CA, customers without sacrificing the quality of work received by the customer. A cooperative relationship with cleanup professionals simplifies this process for insurance professionals. It’s not uncommon to open your fridge in Mentone, CA, and discover mold on food you were planning to eat. While everyone knows that mold in your home is an issue that often needs to be dealt with by a mold remediation specialist, mold growing on your food can often be handled by simply disposing of the food item. One of the most common culprits of fungus growth on food is bread mold. Let’s take a look at what causes mold on bread and how to correctly dispose of it if found. What Kind of Mold Grows on Bread? 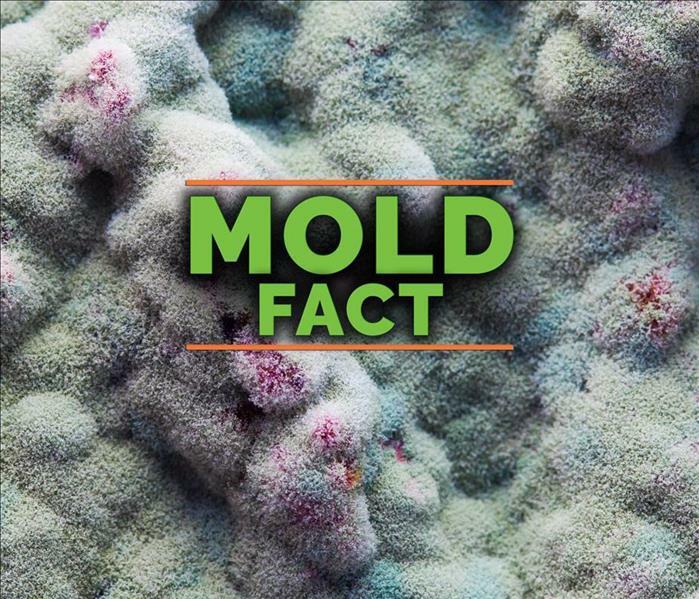 While mold can grow on bread in many environments including your refrigerator, it grows best in moist, warm environments. Since bread is naturally very moist and is often kept in warm areas like the cupboard or on the counter, it easily attracts mold. If you purchased bread that you don’t intend to use right away, the best place to store it to avoid mold growth is the freezer. Also, make sure to seal the bag every time you’re done grabbing a slice. If you find mold on your bread, it is important that you do not consume it and dispose of it immediately. Avoid touching or smelling the mold when handling it, and quickly put it in a plastic or paper bag before tossing it in the trash. Make sure that the mold growth was only contained to the bread and clean the affected area. Although common, bread mold needs to be disposed of promptly to avoid spreading to other types of food or even parts of your home. Remember to help delay mold growth by sealing your bread and placing it in the refrigerator, or place it in the freezer to prevent mold altogether. What Is an Electronic Claims Service? A service for storing and accessing claims electronically makes it easier to access data related to an insurance claim in progress. The following features of the SERVPRO Claims Information Center facilitate communication between mitigation and restoration professionals and insurers. All of this information is important for an agent processing an insurance claim. Other types of useful information are also available through this service. It may also be possible to compare these types of data and other metrics for franchises and companies. All of this information can help an agent or adjuster determine whether an estimate is accurate and reasonable. One of the best features of an electronic claims service is that is can reduce communication-related delays. Rather than having to schedule calls, a mitigation and restoration franchise can simply upload estimate information and more data on the progress of a job for an agent or adjuster to review on his or her own schedule. These features make the Claims Information Center and other electronic claims services a useful resource for insurers and restoration vendors. 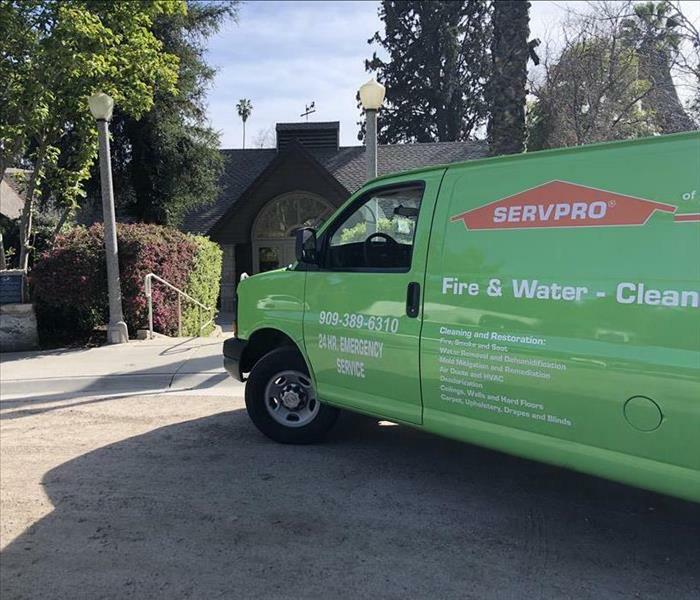 Shortly after SERVPRO experts assess the extent of damage at residence in Yucaipa,CA, an estimate will be posted on this service to expedite processing of an insurance claim. As one of the most valuable and necessary components of your business’s infrastructure, your commercial roof requires regular maintenance. Damage can appear in the form of a roof leak, wind damage or heat damage, and doing as much as you can to prevent and correct this is imperative to saving money and resources down the line. Here are a few tips for inspecting and maintaining your commercial roof in Redlands, CA. 1. Perform regular inspections with a qualified professional. Schedule regular inspections every six months with a qualified inspector. Additionally, schedule inspections after storms to assess for any wind damage that could make your building more susceptible to a roof leak. In the event of a hail storm with ¾ inch or greater sized hail, schedule an inspection with your insurer to ensure damage did not occur. If repairs are needed, a commercial storm damage professional can provide the expertise needed for a cost-effective solution. 2. Seal vents and skylights. Check to make sure all vents are sealed to prevent debris and leaks. Regularly take a special look around any skylights and other roof features to make sure all edges are sealed and equipment remains properly secured. 3. Keep records of previous damage. Because repairs to previous damage can create weak spots in the roof, keep a record of any previous storm damage or repairs made. Keep a closer eye on these areas during inspections or after any severe weather events. 4. 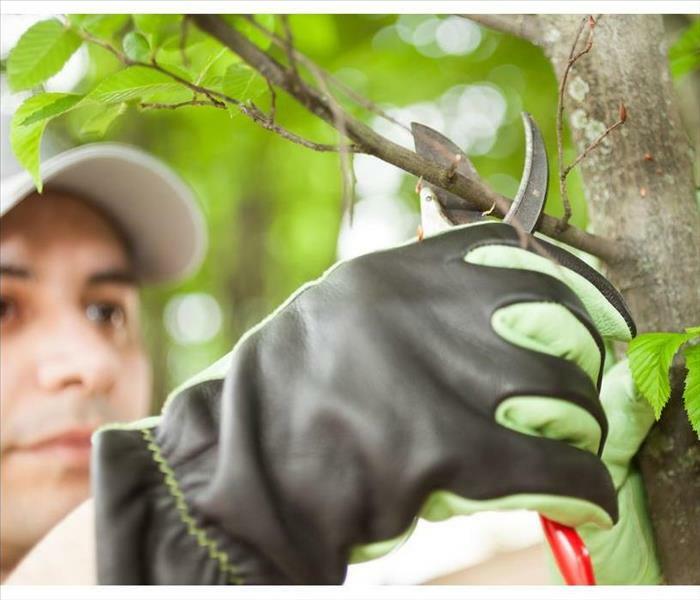 Trim trees and keep gutters clear. To prevent trees from scratching at the roof or creating wind damage, trim branches to create a safe clearance. Also, regularly check gutters to make sure they have not become clogged with twigs or leaves. Performing regular maintenance and inspections is an essential part of ensuring your commercial roof’s longevity. Following these tips can help you, as a business owner, minimize the risk of a roof leak or other potential damage. Although the idea of a fire occurring in your home in Mentone, CA can be scary, being prepared and having a fire escape plan can be lifesaving in an emergency. There are several steps you can prepare yourself for a fire in your home. In the event of a fire, early detection can be incredibly important. However, a fire alarm that is out of batteries or needs to be replaced may not be able to alert you if a fire occurs. Changing the batteries yearly and replacing the fire alarm at least once every ten years can help to ensure you will be alerted if a fire occurs. Additionally, it can be helpful to test the fire alarm so you and your family members will know what the alarm sounds like and can react quickly if the alarm goes off. 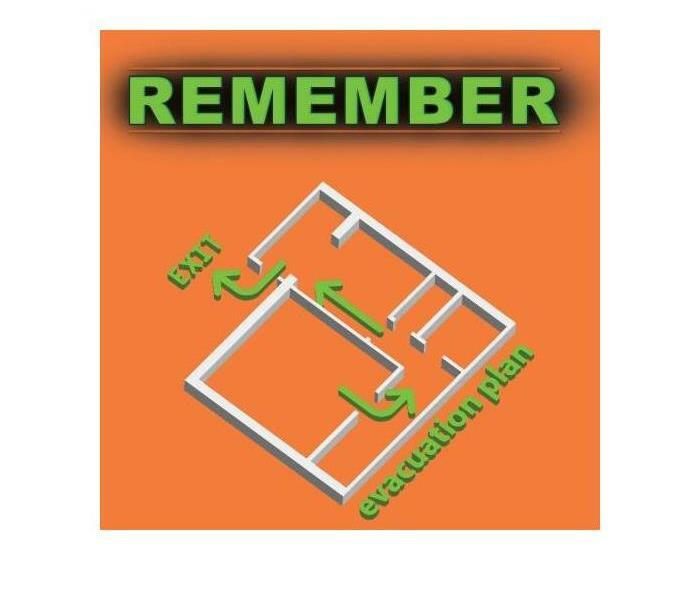 Creating a fire escape plan is a key way you can prepare yourself for a fire. If a fire occurs, knowing how to quickly escape can help keep you safe. It’s generally useful to have more than one route of escape in case one route is inaccessible during a fire. If you live with other people, it can also be smart to agree on a meeting spot that is a safe distance from your home. Once you have an emergency escape plan, practicing it frequently can make the process of actually escaping much easier. Practicing your plan will also give you the opportunity to notice any potential issues with your escape route. By noticing problems during a practiced escape, you can adjust your route if necessary and find alternatives in a low-stress environment. Knowing how the fire alarms in your home work, making a fire escape plan and practicing your plan often can help to prepare you and your family for a fire. Fire damage restoration experts are often useful to contact after a fire occurs. At some point, just about every homeowner in Redlands, CA, is going to experience some sort of plumbing or water issue. Some of these incidents may be minor and won’t have significant problems. However, if you’ve had bursting pipes in your house, the results can be devastating. This is why it’s important to act quickly, correct the issue and clean up effectively. As soon as you realize water is leaking onto your floor, into the walls, or under sinks or cupboards, you need to jump into action. The faster you respond, the more likely you’ll contain the water damage, stop the leak and successfully clean up the affected area. Here’s a rundown of how to react once you spot a pipe burst. Pinpoint the source of the problem. Contact a water cleanup company. If you have bursting pipes in your home, it may seem obvious where the issue is coming from. However, you may know which pipe bust, but you also want to know why it happened if possible. The same issue causing one pipe to burst may cause another one to burst as well. To prevent more damage to your flooring, walls or other areas, make sure you shut off the water as soon as you know where the water is coming from. This can help stave off mold and other concerns. To fix a broken pipe may require more expertise than you have. Don’t hesitate to call a skilled plumber. This professional will have the experience, knowledge and equipment to repair the issue. Depending on how long the leak occurred, you could face severe damage. A water cleanup crew can remove any water from your home as well tear out carpet and sheetrock, and clean and sanitize affected areas. Bursting pipes can cause you fits, but you can minimize the damage and effects. Call a professional immediately. 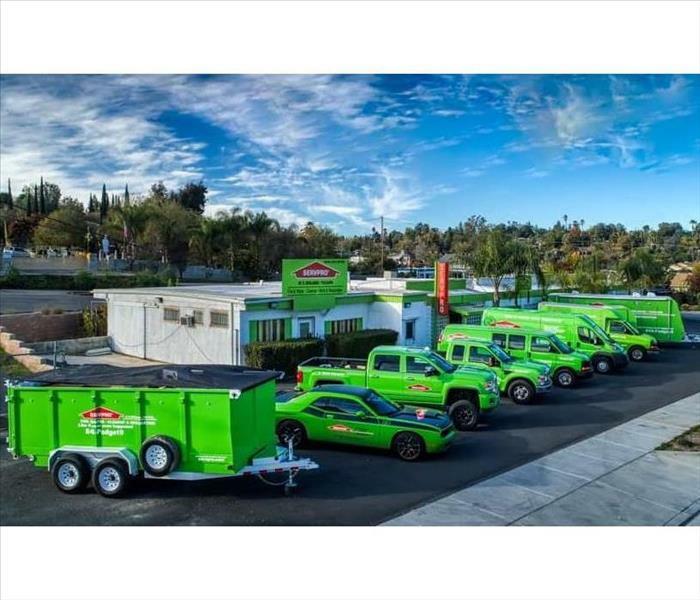 4/15/2019 - When Storms or Floods hit Redlands/ Yucaipa, SERVPRO is ready! 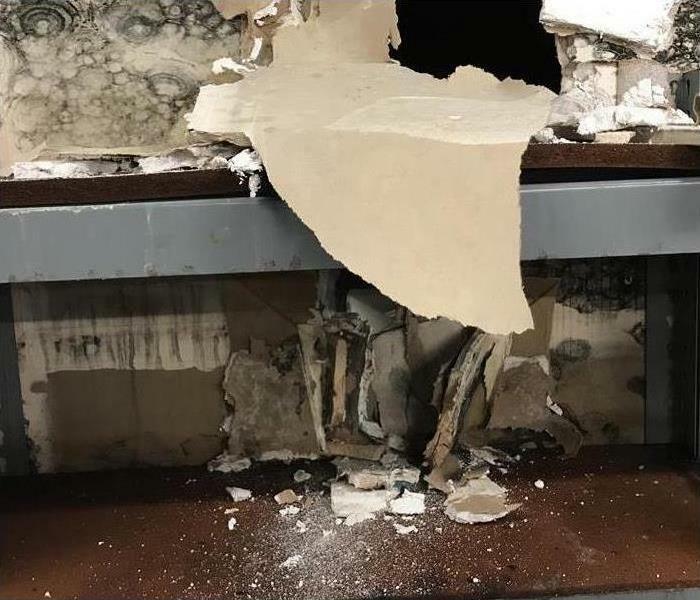 4/10/2019 - Can Tenants Sue Property Managers Over Mold? 3/5/2019 - Why Does Mold Grow on Bread? 2/18/2019 - What Is an Electronic Claims Service?